In celebration of National Fossil Day the University of Nebraska State Museum invites children and families to a special paleontology themed night at Morrill Hall on Oct. 9. 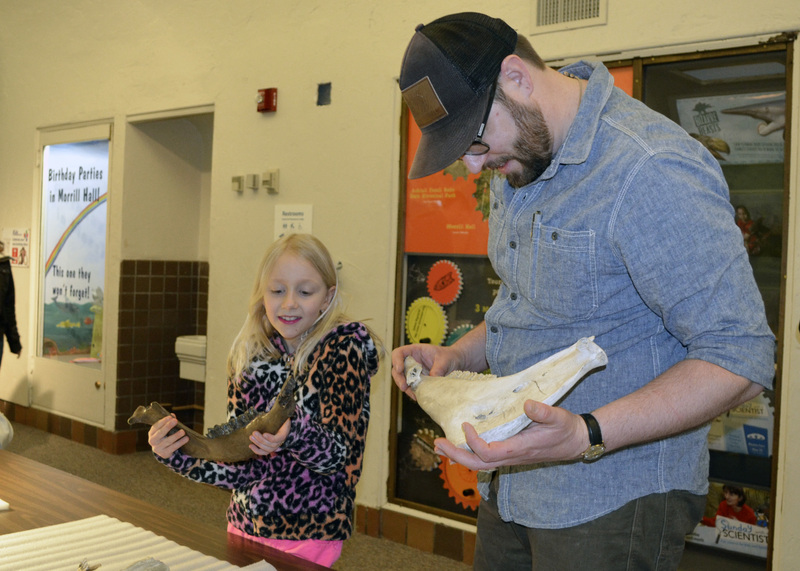 The event, from 5-8 p.m., will feature activities that "dig" into the work of paleontology. Visitors will learn what a fossil is, have the opportunity to dig for fossils like paleontologists and learn more about the paleontology of Nebraska. Visitors are welcome to bring a fossil for a scientist to identify. Mueller Planetarium will present a special fulldome showing of "Dinosaurs at Dusk" at 7. National Fossil Day on Oct. 15 is a celebration organized by the National Park Service to promote public awareness and stewardship of fossils, as well as to foster a greater appreciation of their scientific and educational values. The State Museum's collection of vertebrate fossils is internationally recognized as a resource for understanding our prehistoric past, as well as some of today's most important scientific concerns, such as climate change. More than 1 million rare and irreplaceable specimens have been added to the collection since 1891 when director Erwin H. Barbour (1891-1941) made his first fossil expedition to the Badlands of Nebraska and South Dakota. The division continues to make new discoveries in Nebraska and nearby states, and in other parts of the world. The University of Nebraska State Museum of Natural History in Morrill Hall is open 9:30 a.m. to 4:30 p.m. Monday-Wednesday and Friday-Saturday, 9:30 a.m.-8 p.m. Thursdays, and 1:30-4:30 p.m. Sundays. Morrill Hall is one block south of 14th and Vine streets. Regular admission is $6 for adults (19 and over), $3 for children (5-18 years), free for children 4 and under, and $13 for families (up to two adults and children). UNL staff, faculty, and students are admitted free with NU ID during all regular hours. Friends of the Museum are also free. Parking is free in front of the museum. For further information, telephone 402-472-2642 or go to http://www.museum.unl.edu.